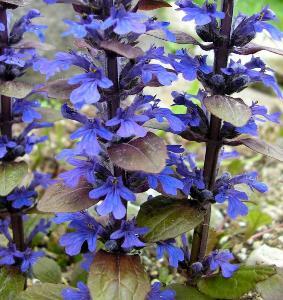 Ajuga reptans 'Catlins Giant' is an attractive semi evergreen perennial that forms a mat of large, glossy purple brown leaves. The flowers are erect spikes of blue up to 20cm high during spring and summer. The plant is sometimes known by its old name of macrophylla which indicates larger than average leaves. 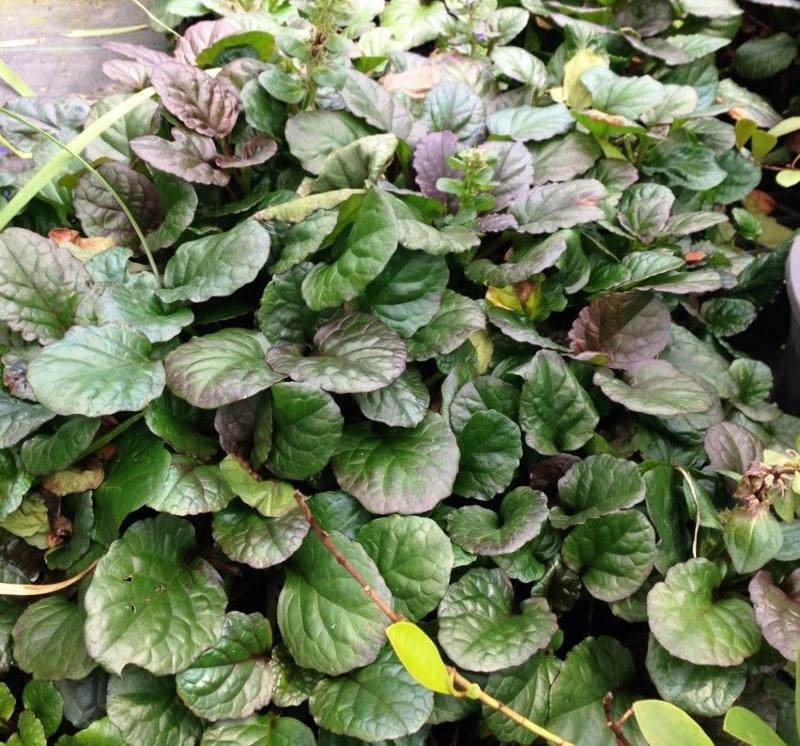 It has a spreading, mat forming growth that is good for ground cover. 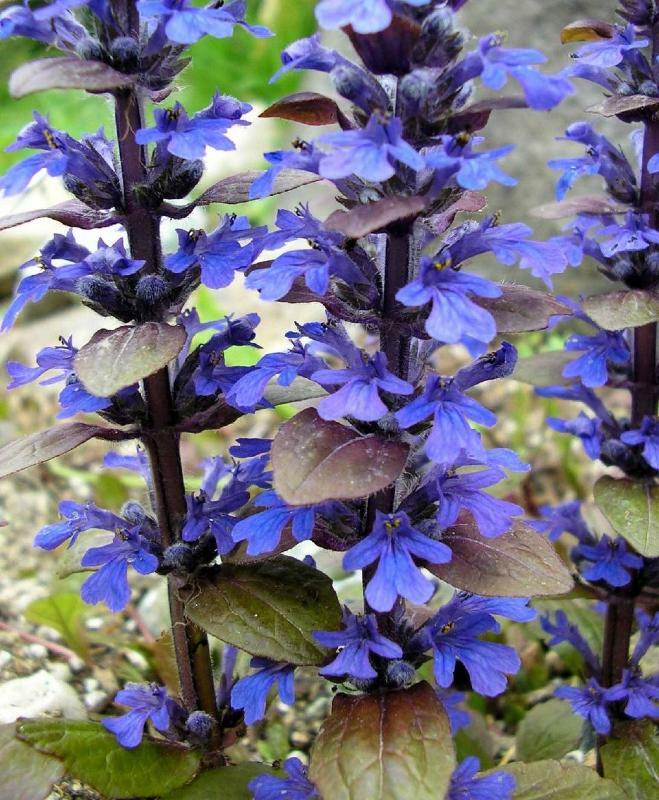 It will grow in any soil as long as there is some moisture and best in partial shade to prevent leaf scorch. Height 50cm, spread 1m.